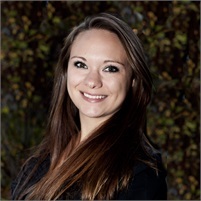 Genevieve Schaefer has lived in Colorado her whole life and graduated from Colorado State University with a degree in Business Management and a concentration in Entrepreneurship. She has worked 12 plus years in customer service and office administration. She received her Series 7 license April 2014 and has been a licensed administrative assistant since then. Genevieve enjoys working with and attending to the needs of all clients always with the highest level of service.